In Jude 21 we’re called to keep ourselves in the love of God by building ourselves up in the most holy faith. We will know, experience, and treasure God’s love for us when we build our lives on the truth of the Gospel. Let me ask you: how are you building yourself up in the most holy faith? What real, tangible steps are you taking right now to grow in your knowledge of and love for the Word of God? Building ourselves up in the most holy faith will never happen by accident. We won’t wake up one day and find that we know the Word better simply because we want to. We must take action! We must run hard after Jesus! The pastors here Buck Run take very seriously our responsibility to help you grow in your faith. There is nothing we want more than to see you become a healthy, growing, God-honoring, reproducing disciple of the Lord Jesus. Everything we do is toward that end, for your good, and for God’s glory. It’s this desire that has driven us to our Adult Discipleship model. 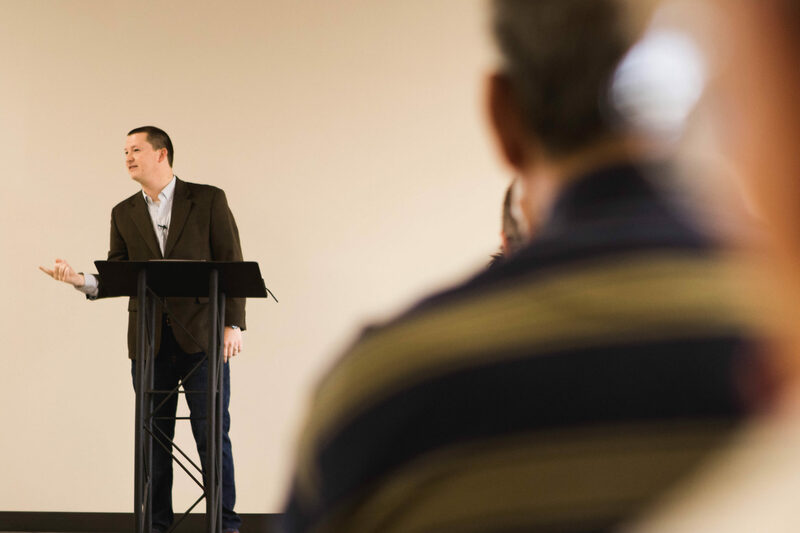 The classes we offer every 6 weeks are designed to help you learn and grow in the faith. These classes are made up of a diverse and deep curriculum. Some simply walk line by line through a book of the Bible, others may cover a particular topic of interest (i.e. parenting, finances, church history, etc. ), while still others are designed to equip you for the work of ministry (evangelism, how to study the Bible, apologetics, etc.) Whether you’re just coming to faith or you’ve followed Jesus for years, there is a class for you. The question isn’t: is there a place for me? The real question is: how are you building yourself up in the faith? Let us help you! Our Adult Discipleship classes are designed to do just that. This Sunday (6/24) at 9:15 a new 6-week cycle of classes is beginning. This is the perfect time to get involved if you’re not already. You’ll see a list of the classes being offered HERE. You can register for the classes, or you can just show up! I pray that you’ll take advantage of these opportunities to grow.